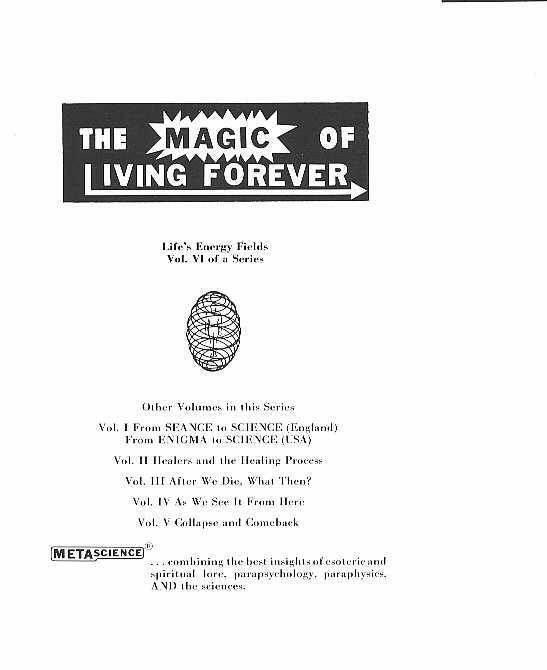 George W. Meek and Mark Macy, co-founders of Continuing Life Research, signed an agreement that many of George Meek's literary works, including The Magic of Living Forever, may be re-published and distributed freely, without obligation, by Mark Macy. This booklet contains 55 color illustrations on 26 pages. 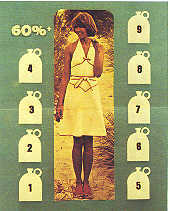 To provide best quality of the pictures and to decrease the download time we have split this booklet in 5 parts. At the end of each part you can go directly to the next part using a link. 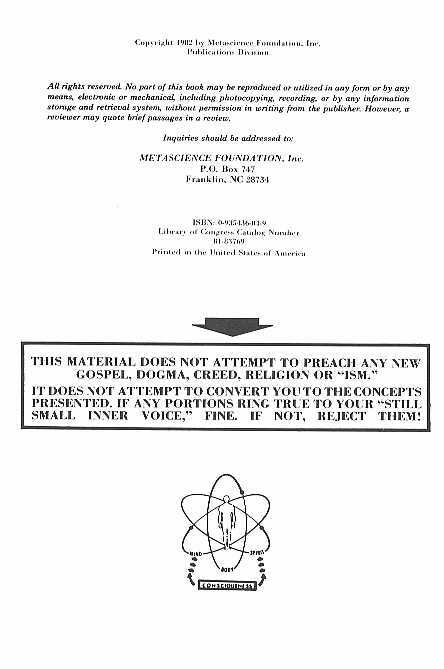 It is recommended to read this booklet from the very beginning. For reader who like to continue where they stopped reading we give the links to the parts. Director of Research, Metascience Foundation, Inc. In the last 25 years we have learned more about the life we will be living after we shed our physical body, than was known in all the earlier periods of recorded history! 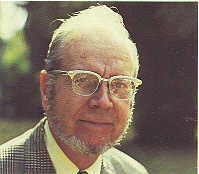 Thank you for giving me the opportunity to share with you the facts I found during my own 12 years of full-time world-wide research into the basic nature of man, and the prospect of future existence. After doing my best to struggle through this life am I blotted out forever, as the materialists say? Do I lose my personal identity and become some formless non-entity, absorbed in the great unconscious? Can I believe the Biblical promises and accumulated lore about life after death? Is there any truth about purgatory-about hell with fire and brimstone? Why hasn't my minister, priest or rabbi answered such questions for me? Even our little friend Snoopy has some of these questions. . . . . . . . . . . . . . . . . 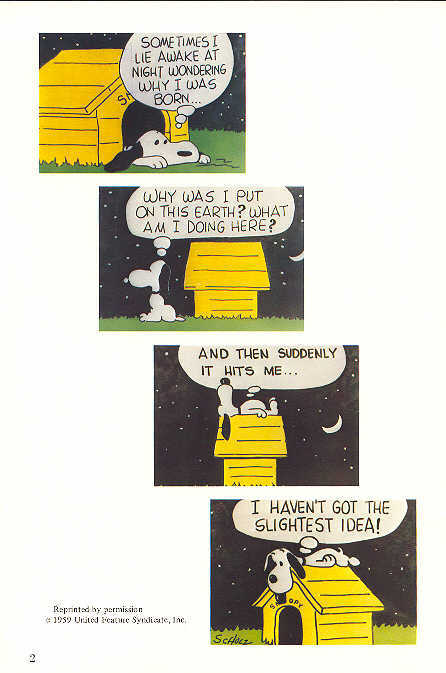 When you finish this booklet, you should have better answers to such questions than Snoopy does. I am going to take you behind the curtains on the stage of life and show you some of the tricks of magic by which the Master Magician, our Creator, has made it possible for you to live forever. We are all familiar with the seeming magic depicted in this drawing where a wet squishy caterpillar spins himself a burial robe and later emerges into a new world as a beautiful, colorful and vibrantly alive butterfly. This sounds like sheer magic, and is, but I assure you, that in creating you, the Master Magician has perfected his "tricks" still more. In your case, you will shed your wet squishy body and, eliminating the step shown here as the chrysalis, emerge immediately into a new world with your mind, your memory banks and your personality intact. 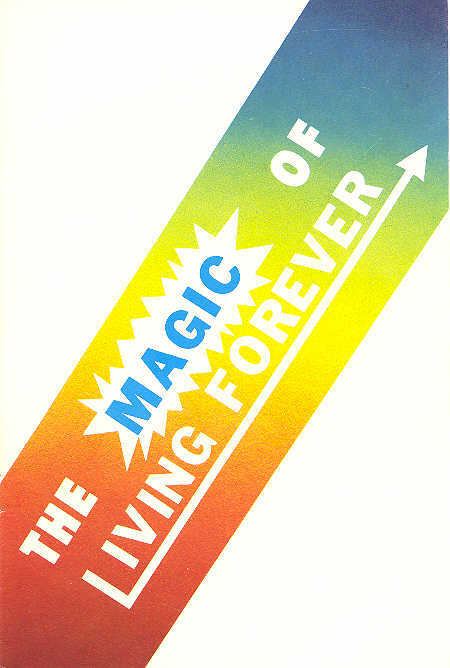 Stage magic depends largely upon diversion of attention so if you are going to understand the magic of living forever, you must refrain from allowing your attention in this case, to be diverted to your physical body. Admittedly, the physical body is a marvelous creation. Thousands of medical re-searchers over the centuries have spent lifetimes trying to unravel its mysteries. But you must not think of yourself as a body with a soul, but rather as a soul temporarily occupying a physical body. Earlier I compared your body with the wet squishy body of a caterpillar. Let me explain this a bit further. 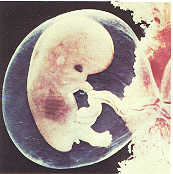 You were born into a sea of slightly salty water, fastened to your mother by the cord you see here. In an almost magical way you will acquire another cord, as I will explain later. As you grew up, you continued to be composed largely of water. The young lady in this photo is probably unaware that at least 60% of her bodily weight is water, and that it would take about 9 gallon jugs to contain that water. She is probably unaware of the fact that her brain is at least 80% water. Thus, if it weighs 30 ounces, 24 ounces of the brain weight is nothing but water! What kind of magic is going on here? 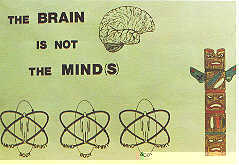 Well the brain is not the mind (s). Note that I use the plural. Sigmund Freud was not the first to suggest multiple levels of the mind. The Polynesians clearly understood that, in essence, Man had three levels of mind or consciousness. They called the levels: the lower self, middle self and higher self. The American Indians also clearly understood and used the concept of healing and embodied it in their totem poles as the Cherokee Indian one shown here. Moreover, they clearly understood that the higher self survived the death of the physical body. They symbolized this by putting wings on the higher self. To become familiar with the true magic of the minds, you must know about the concept of "energy fields," which are represented by the three small diagrams across the bottom of this photo. The concept is crucial if you are to understand how it is that you are going to live forever. The next eight photos help explain the concept of energy fields.